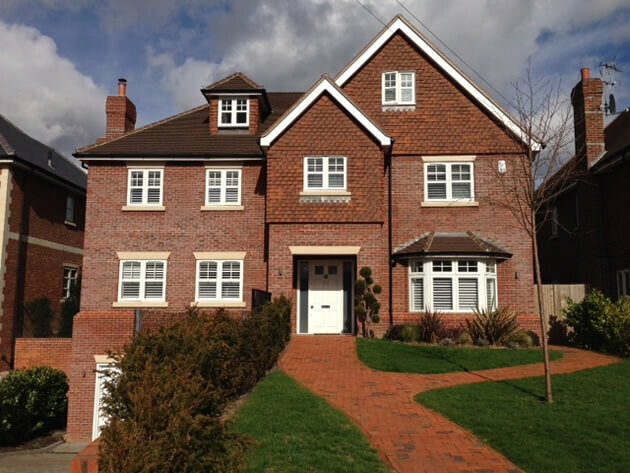 We were recently asked for our shutter design and installation service for a new customer in Warlingham, Surrey. The customer was looking for a new window dressing which would address security issues she felt the windows had due to being exposed. Our shutters as standard can help towards prying eyes looking at what is within your home and also act as a deterrent to opportunist thieves. 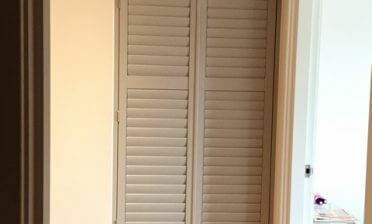 Plantation shutters are a great way of achieving some extra security and privacy without compromising on style and functionality. The whole house was fitted with our shutters, consisting of Cafe Style Shutters in the living room bay window and Full Height throughout the other rooms. 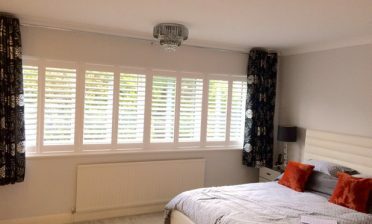 We used silent tilt rods on all the shutters to help achieve an elegant and minimalistic look throughout, with some 64mm louvres on all shutters. The shutters were then finished in silk white which works well with both the interior and exterior styling of the property!